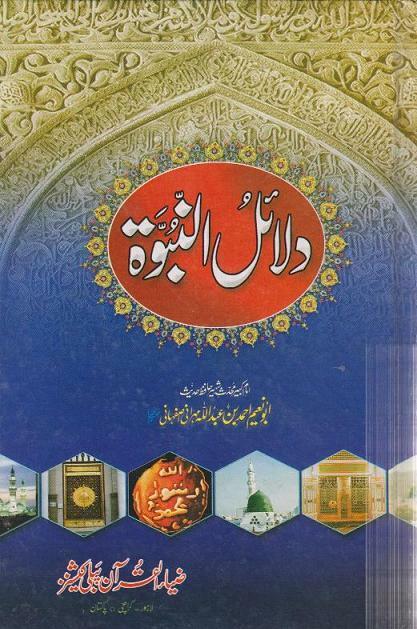 Mukashfah/Prediction of Hazrat Daniyal (A.S.) from two books is posted below. This Prediction is about spread of Islam all over the world. Five empires are mentioned in this dream interpretation by Hazrat Daniyal AS. A detailed version of this prediction will posted in Part 2. Note: Orya Maqbool Jaan Sahib and Professor Ahmad Rafique Akhtar Sahib also mentioned this Prophecy/Paishgoi in their writings. An extract will be added in next post. 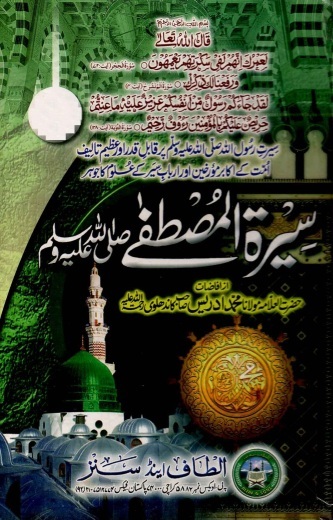 I have also sent prediction of Hazrat Danyal(A.S.) to you about 2 months ago. Please also post that. InshaAllah I will add that in next post as Its very long. In fact, I have that Prediction from another book also so I will add both in next post. Actually this prediction is found in 5 books which I know. 2 of them are posted above. 2 will be in next post. 5th one is similar too. A 1,500-year-old Bible in which Jesus is believed to have foretold the coming of the Prophet Mohammad to Earth has attracted attention from the Vatican this week. The text is said to contain Jesus’ prediction of the Prophet’s coming but was suppressed by the Christian Church for years for its strong resemblance to the Islamic view of Jesus, Turkish culture and tourism minister Ertugrul Gunay told the newspaper. “In line with Islamic belief, the Gospel treats Jesus as a human being and not a God. It rejects the ideas of the Holy Trinity and the Crucifixion and reveals that Jesus predicted the coming of the Prophet Mohammad,” the newspaper reported. By coincidence Brother MAJ also sent me prediction from Mufti Abu Lubaba book. I will publish it in next post. Mufti Abu Lubaba is just an over excited person making things. Molana Tariq Jameel said jokingly in one f his bayan that abu lubaba place dajjal in bermuda triangle. He was pointing out that abu lubabab is not accurate. Brother we should refrain from making such comments. please reread these books . the books only contain his interpretation of the events which can be right or wrong, ( however you can now read and evaluate that how good the book is and how some of his assesments came true). Having said that we can have difference between 2 elders but it not our right to comment and quote like this. Mufti Abu lubaba is one of the great Aalim e deen and writer of the Muslim ummah. He interpreted the Ahadiths according to the renown ulema and of the modern times.He is a great great mufti and aalim.In fact muslim ummah and the rest of the world is in greatly needed scholars like him. Dunya ke dosray mulkon ke tarah Pakistan ke controlled media mei bhe,(jo public ko asal haqaiq kabhe nahi batati kuonke ye dajjal ke peronkaron freemasons and illuminati etc ke mukamal mufaad mei kam karte hai,Mufti sahib ne jo kam kia hai aur illuminati aur freemason ke sazishon ko beniqab kia hai oss ke misaal hamaray han kamyaab hai. I remember, Abdullah tariq Sohail, a columist in Express News paper wrote a column about Hazrat Danial predictions. He wrote that according to Hazrat Danial predictions, these years are the years of Israel destruction. I will try to find the column. There is an article today in Asia Times Online by a seasoned ex-embassador from india, M K Bhadrakumar: "Kabul on Razor's Edge"
If anyone could recall Prof. Dr. Maqsood Ilahi's speech published here a week or two ago. He claimed that US will be leaving Afghanistan soon. No one really thought that to be in realistic terms, but since protests are spiralling out of ibleesi hands, all amerikun dreams are in tatters and they are left with foaming mouths and filthy firey tounges now (see report on yahoo news)! This is going to be on defeat that amurika will never be able to redeem itself from. From here on, its all downward for them until the firey pit is reached. Read the above article and it will explain what Prof. sahib was tallking about. No doubt: Momin ki firast Allah kay noor say dekhti hai!